Following images ©Justin L. Stewart. Do not use without proper licensing. Here's a collection of selects from the month of October. Crazy how much can be shot in a month. Sorry I don't have more energy to whittle down the selection a little more, but some of the images are also photos that would never get to see the light of day if I didn't throw them up now, so that's how I'll excuse myself. 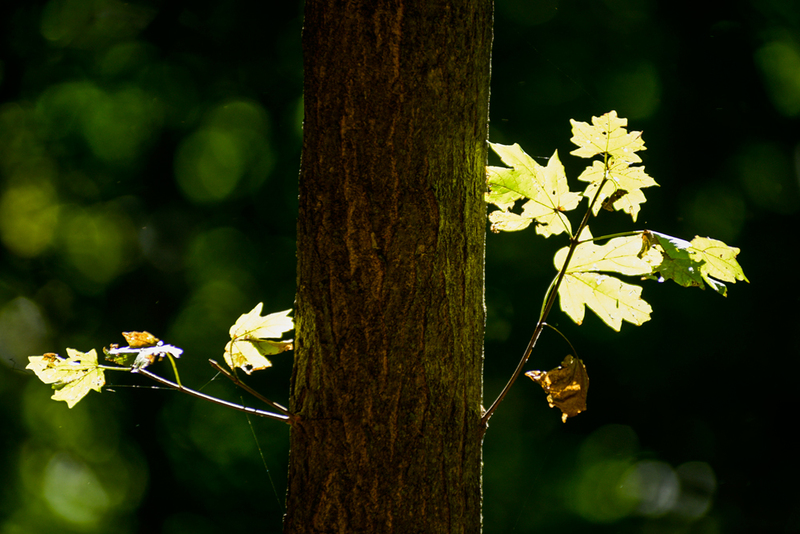 One of the things I focused on during this month was how to better harness available light. 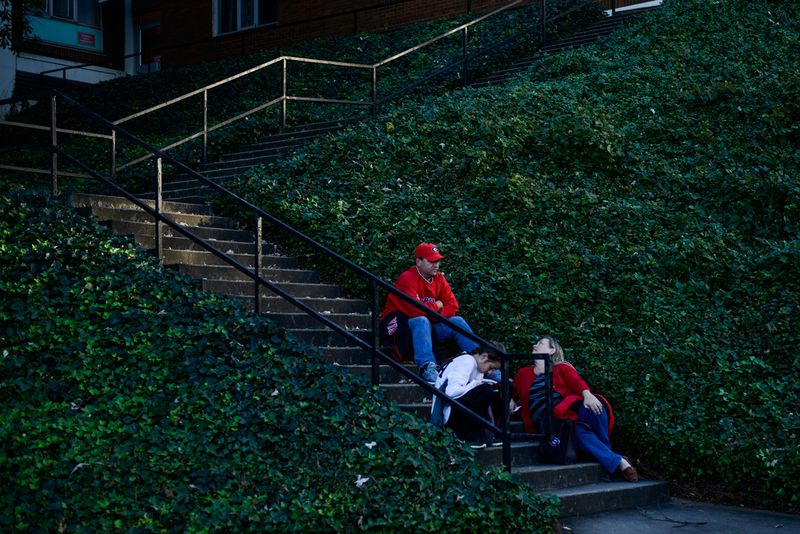 It was also the month that my shoots started pulling me more into the racial issues on the University of Missouri's campus. I think the most important thing that clicked for me this month was just taking photographs for myself. It's so easy for me to be on assignment and to suffer from a tunnel vision of sorts, ignoring anything else that interests me as I focus on the task at hand. "That's not what I'm here for so it's obviously of no use." It's important to take those photos for yourself, to keep bending to your creative intuition, even if it's not a part of your shoot list. 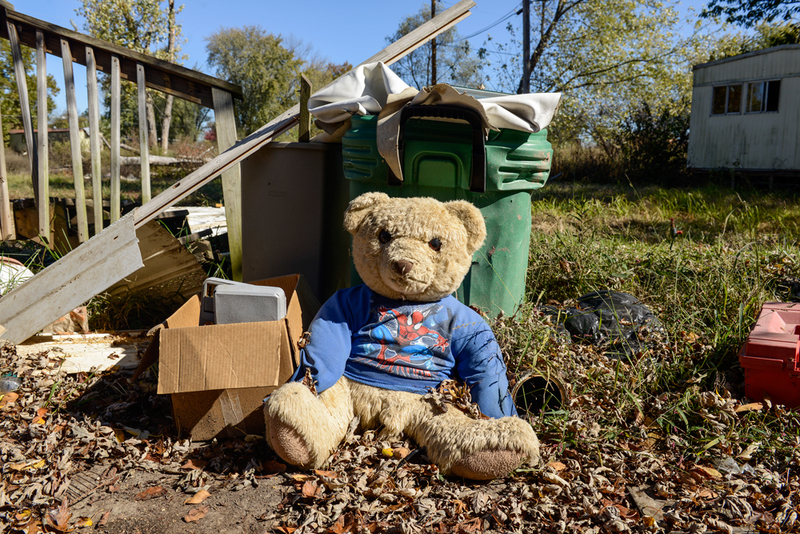 So, here's some photos from October. Next up, November. 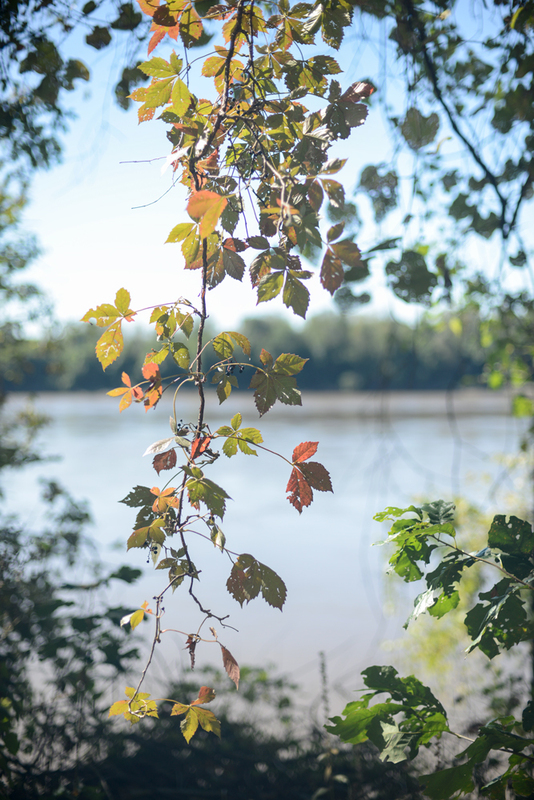 A Virginia creeper hangs from trees Thursday near Cooper's Landing as the Missouri River flows in the background. According to the Missouri Department of Conservation, the vine is a member of the grape family, and the fruit it bears in the fall is eaten by birds and deer. Students sit on the floor of Jesse Hall during a Black Lives Matter study-in Tuesday. 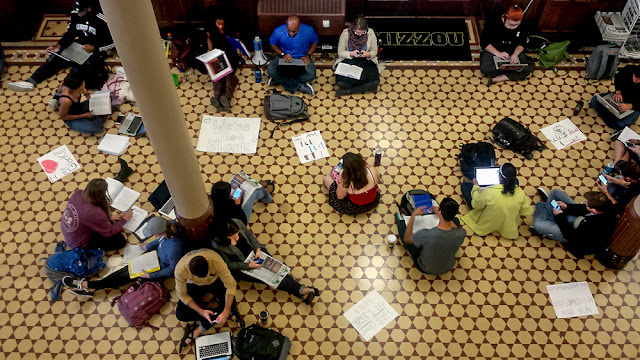 The Black Lives Matter study hall was held after a racial slur was said by a student who interrupted a Legion of Black Collegians Royalty Court rehearsal early Monday morning. People dance at the Eskapade official homecoming after party, hosted by the University of Missouri's Kappa Alpha Psi and Sigma Gamma Rho Friday night during Black Homecoming, Oct. 9, 2015 in Columbia, Mo. at the VFW Post 280. 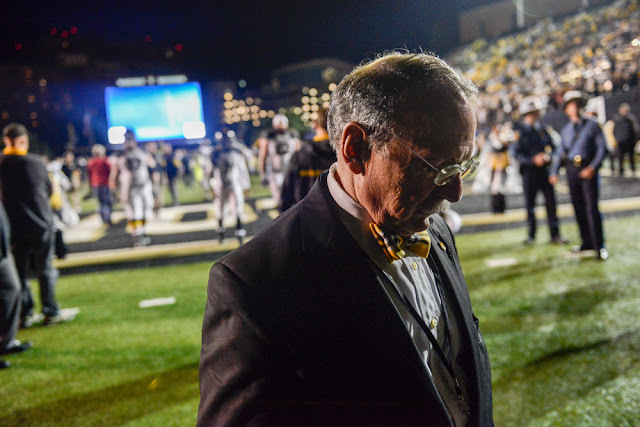 The alternative homecoming was created in response to a social divide at the university, which included a football tradition of the marching band playing "Dixie" with the crowd singing along as a confederate flag was waved. The first Black Homecoming was held in 1988. 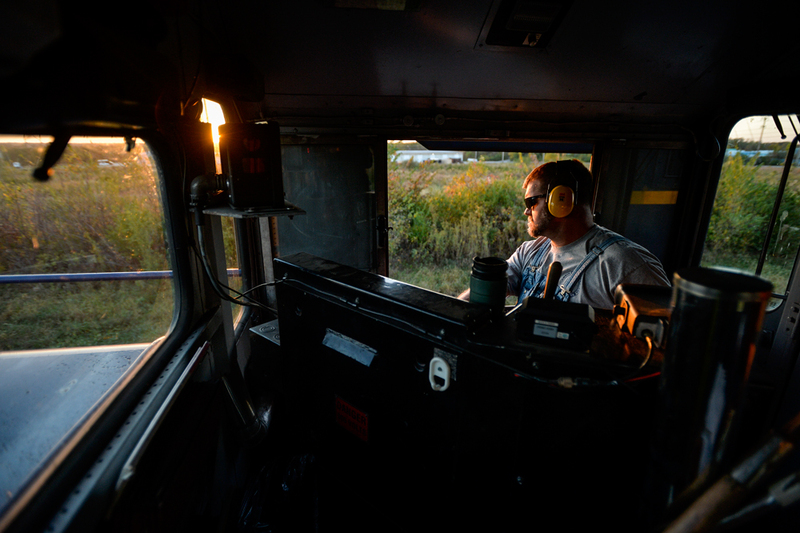 Shane Riley, a conductor and engineer for COLT railroad, controls a locomotive. Riley's wife works in an office and doesn't have to deal with getting hot or cold or not having a bathroom handy, he said. 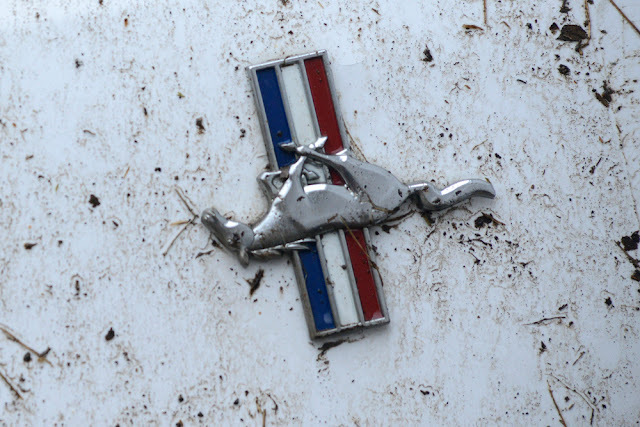 "I'd rather do this and get a little dirty," Riley said. 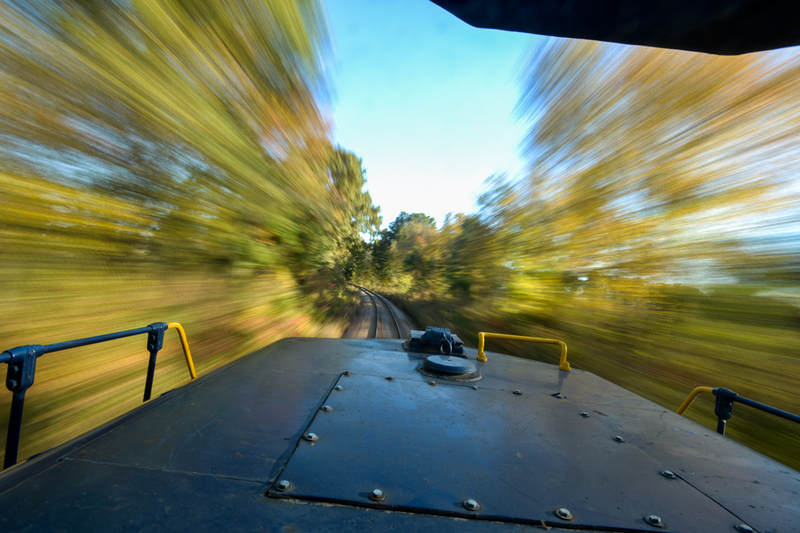 A COLT railroad locomotive powers its way toward Centralia on Oct. 15. 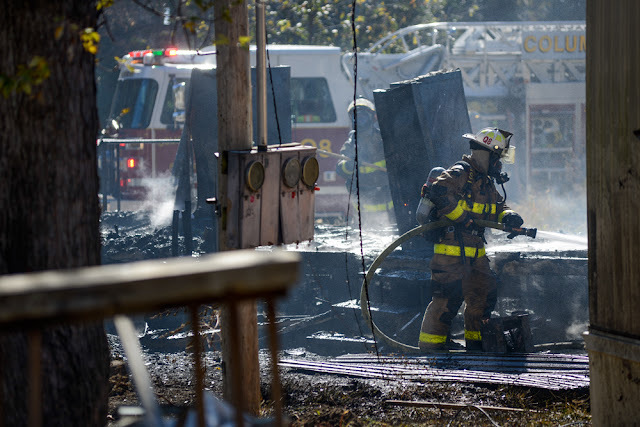 Shane Riley, an engineer and conductor, said the locomotive was probably built in the late '60s. "This old locomotive's been around a long time," Riley said. 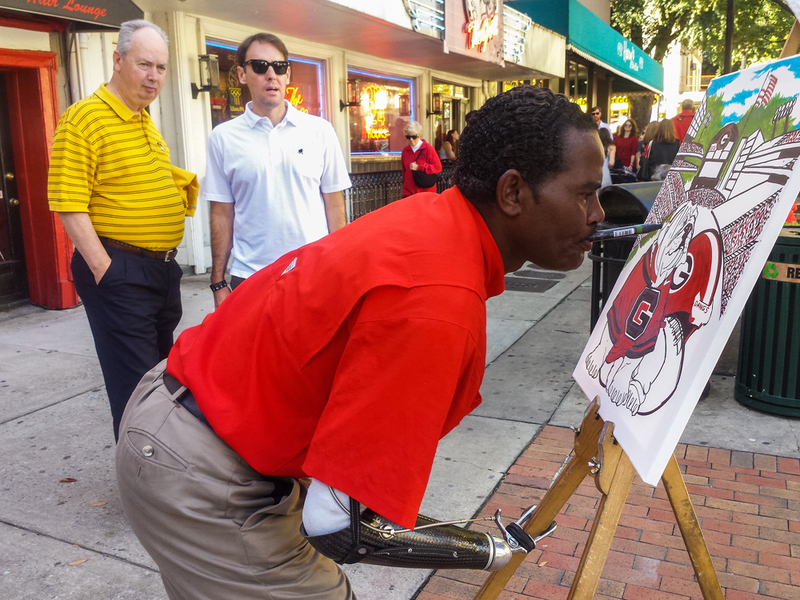 Bulldogs fan Michael Davenport draws a picture with markers using his mouth before the Mizzou vs. Georgia game in downtown Athens, Ga. Davenport lost both his arms in an electrical accident at age 13. 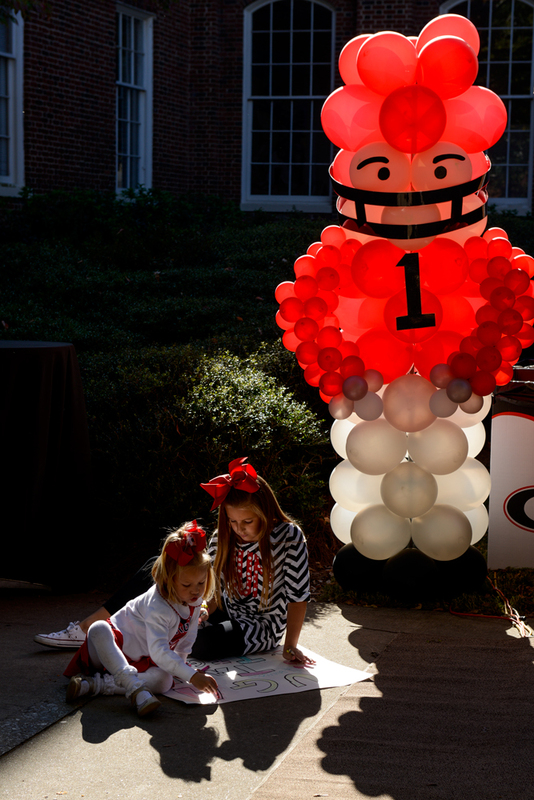 From left, Stafford Varnedoe, 3, and her sister, Mary Mobley Varnedoe, 8, draw a cheer sign on the University of Georgia campus in Athens, GA, Saturday, Oct. 17, 2015. Georgia played the University of Missouri for Georgia's homecoming game, which Georgia won 9-6. 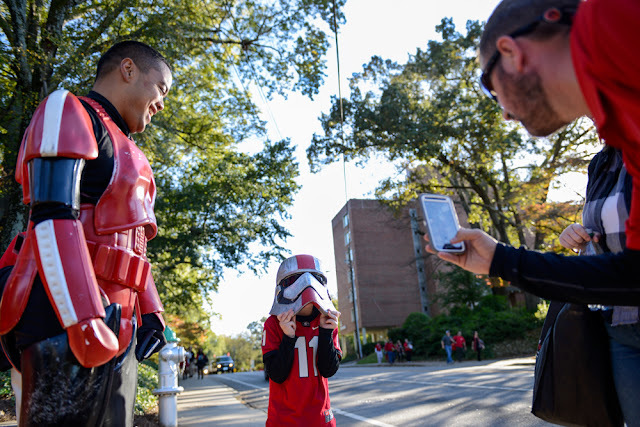 Josh Herrera lets Lance Christian Parker, 6, try on his helmet as the child's father, Roy Parker, takes a photo on Saturday in Athens, Georgia. Herrera walks around campus to tailgates taking photos with anyone who asks. 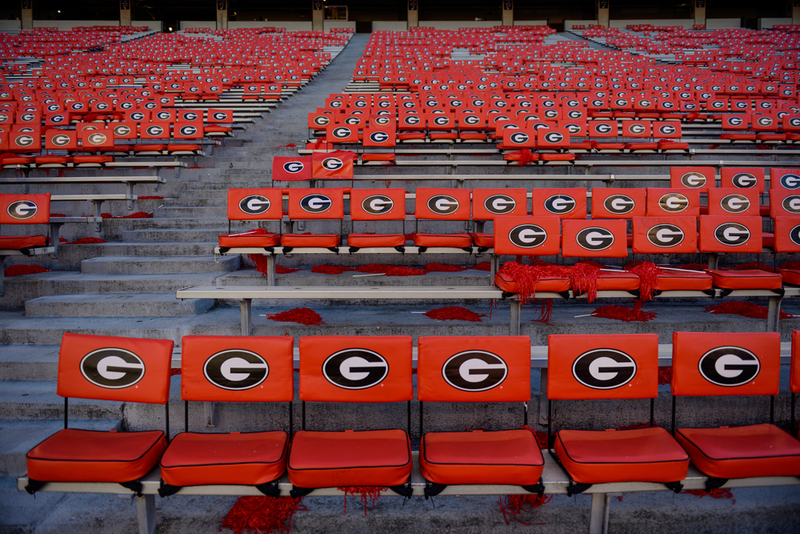 Fans wait for the Dawg Walk before the start of the game in Athen, GA, Saturday, Oct. 17, 2015. MU played the University of Georgia. 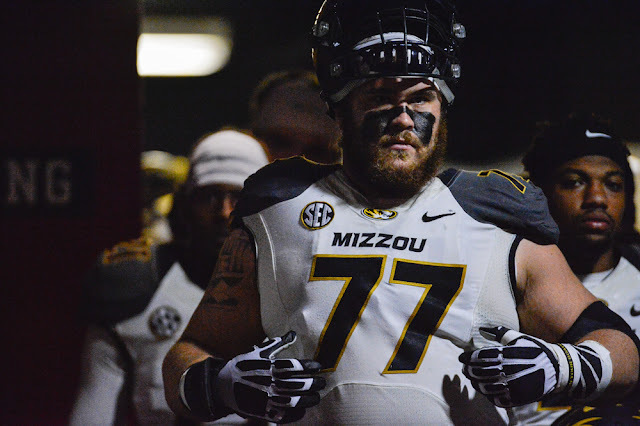 Missouri center Evan Boehm walks to the field before kickoff against the Georgia Bulldogs on Saturday at Sanford Stadium in Athens, Georgia. Missouri safety Ian Simon intercepts the ball on the first play against the Georgia Bulldogs on Saturday at Stanford Stadium in Athens, Georgia. 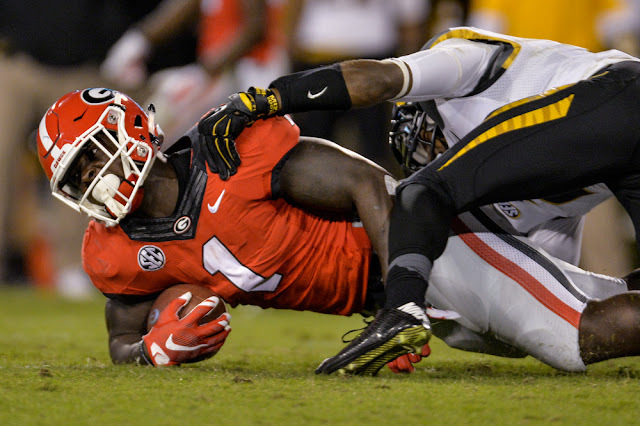 Sony Michel is tackled by Ian Simon. 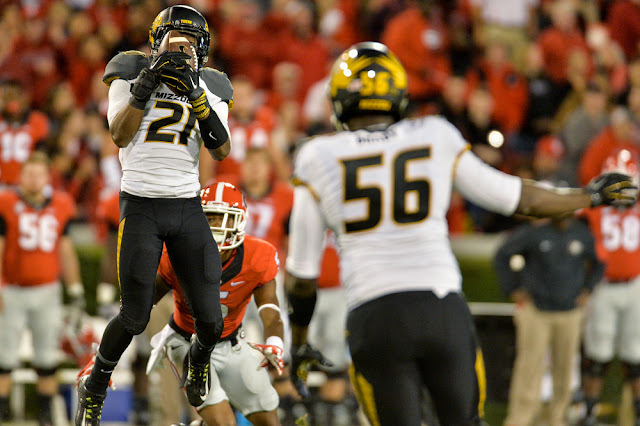 MU played the University of Georgia in Athen, GA, Saturday, Oct. 17, 2015. 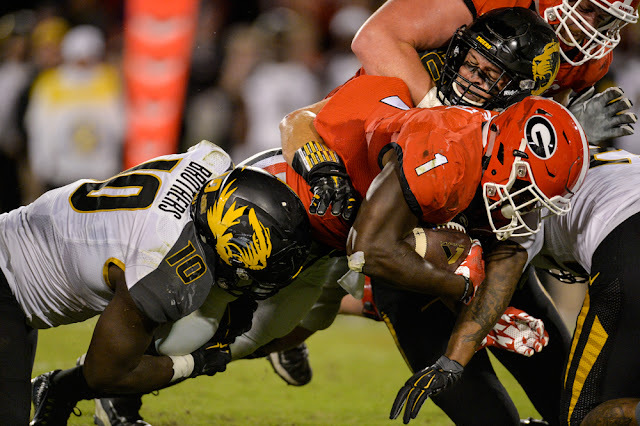 Missouri linebacker Kentrell Brothers, left, and Michael Sherer, right, tackle Georgia tailback Sony Michel on Saturday in Athens, Georgia. 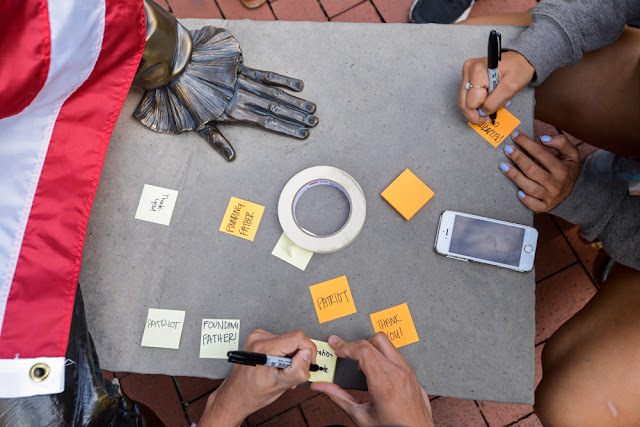 Skyler Roundtree, bottom, and Jasmine Wells, right, write "Declaration of Independence" on sticky notes Tuesday on the bench next to the Thomas Jefferson statue on Francis Quadrangle. The counterprotest was held after a protest two weeks ago brought attention to a petition on Change.org asking for the removal of the statue because it "perpetuates a sexist-racist atmosphere." 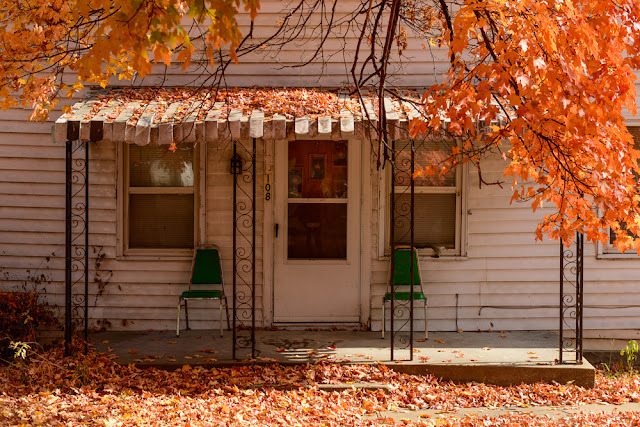 Jessica Corkill looks out of her aunt Dawna Mavel's garage door during a garage sale at Mavel's house in Ashland on Thursday, Oct. 22, 2015. Corkill, her mother, Melba Wells, and her aunt, Debi Johnson, talked in the garage as customers wandered in and out. 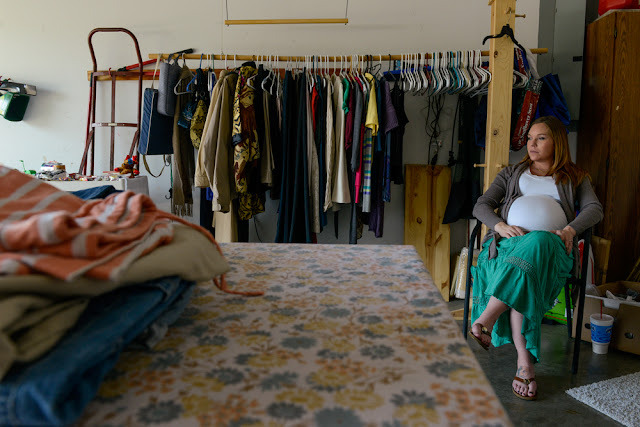 Corkill was selling items that didn't sell in a previous garage sale, making room in her house for her first baby, Harper, a girl, who is due November 19th. A Vanderbilt star in the Vandyville tailgating area is covered by leaves Saturday. 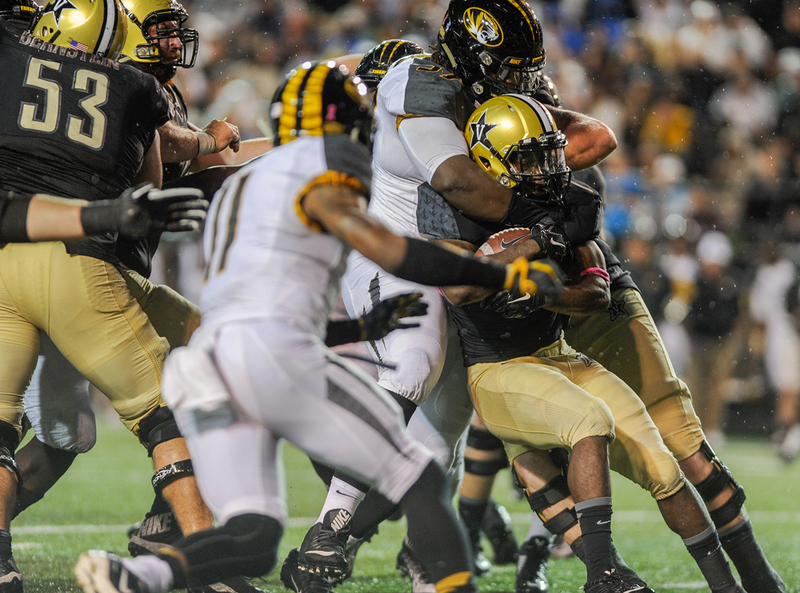 The Missouri Tigers plays Vanderbilt in Nashville, Tennessee, for the Commodores' Homecoming. 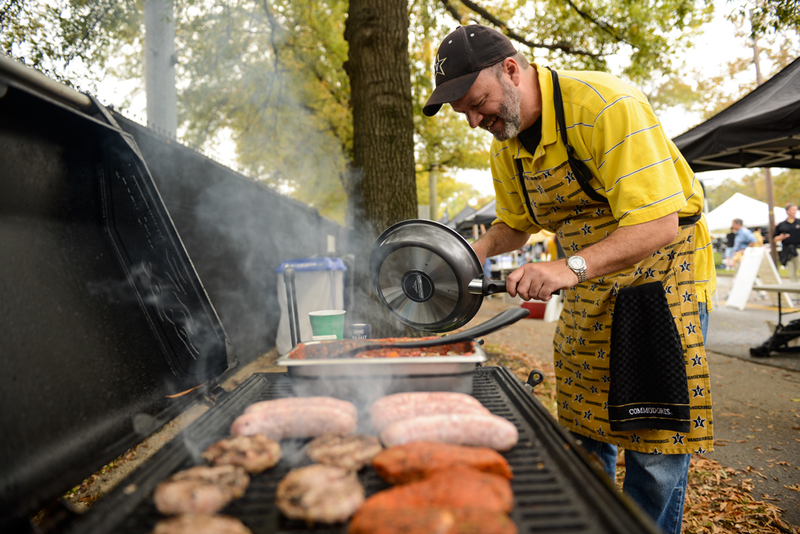 Marc Menke of Huntsville, Alabama, cooks up bacon sliders, bratwurst, pork loins and meatballs at a Vanderbilt Homecoming tailgate Saturday. 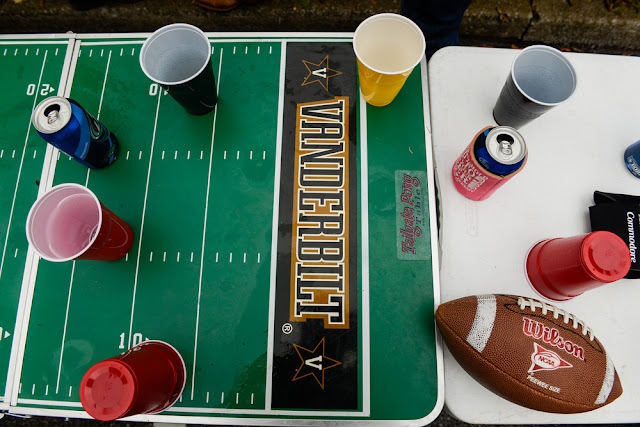 Menke, a Vanderbilt fan, said he's only missed five home games in 17 years. Solo cups and a football rest on a beer pong table in the Vandyville tailgate area in Nashville, Saturday, Oct. 24, 2015, during Vanderbilt's homecoming pre-game festivities. 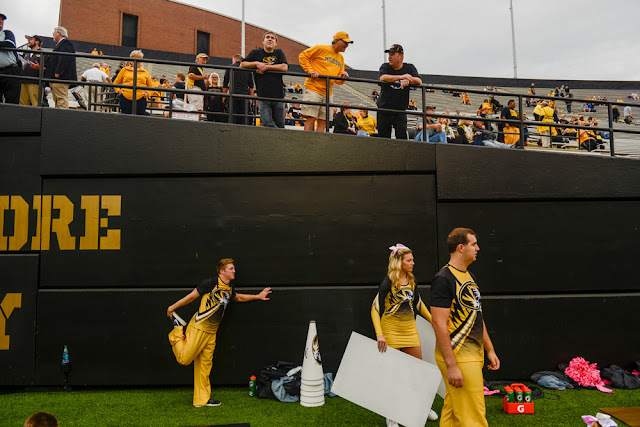 Missouri fans and cheerleaders wait for the start of the MU vs Vanderbilt game in Nashville, TN Saturday, Oct. 24, 2015. 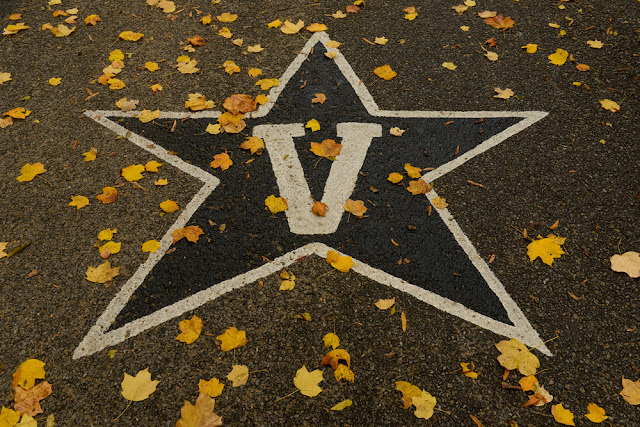 MU played Vanderbilt during their homecoming. 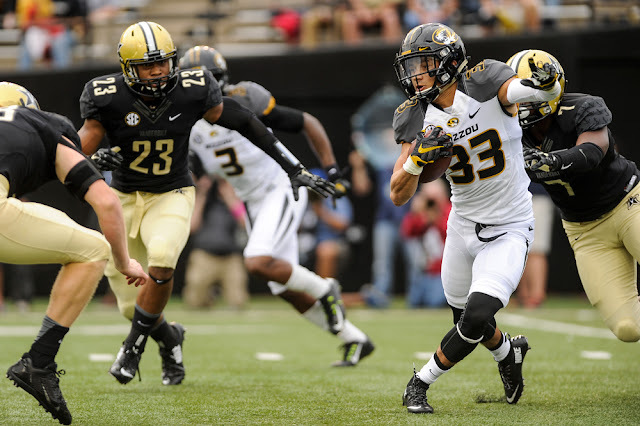 Cam Hilton returns a punt during the second quarter of Missouri's game against Vanderbilt Saturday, Oct. 24, 2015 in Nashville, TN. 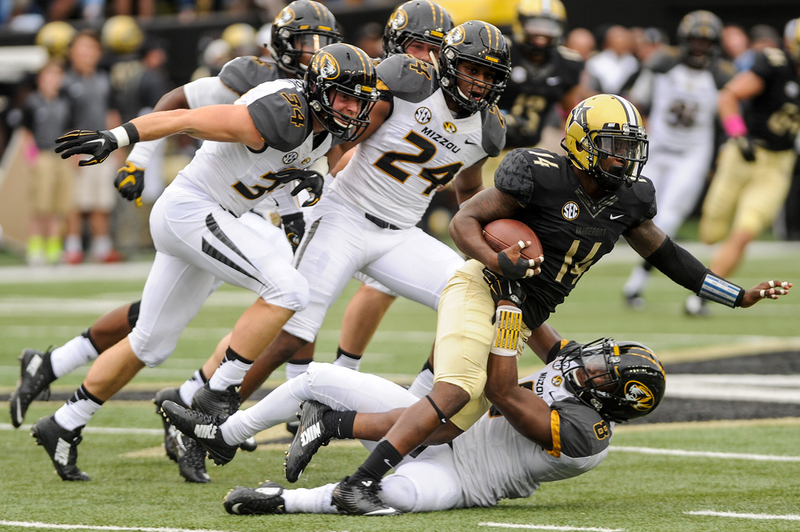 Quarterback Kyle Shurmur is tackled by Thomas Wilson during the second quarter of Missouri's game against Vanderbilt Saturday, Oct. 24, 2015 in Nashville, TN. 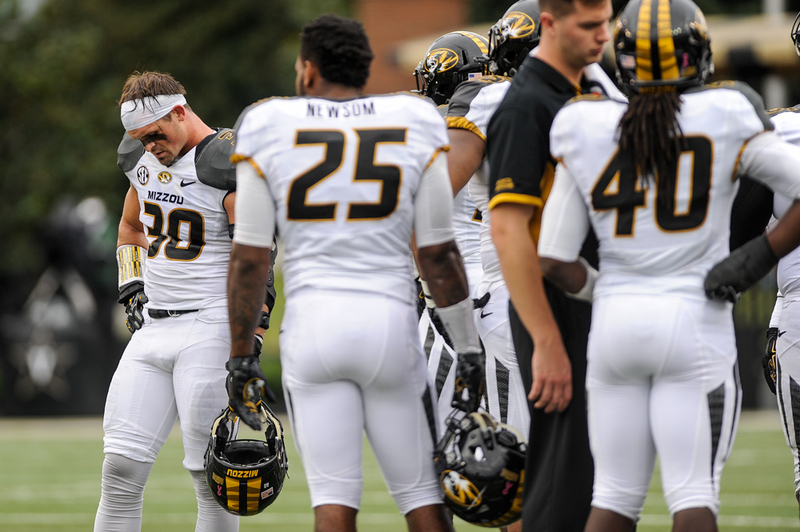 Linebacker Michael Scherer stares at the ground during a timeout in the second quarter of Missouri's game against Vanderbilt Saturday, Oct. 24, 2015 in Nashville, TN. 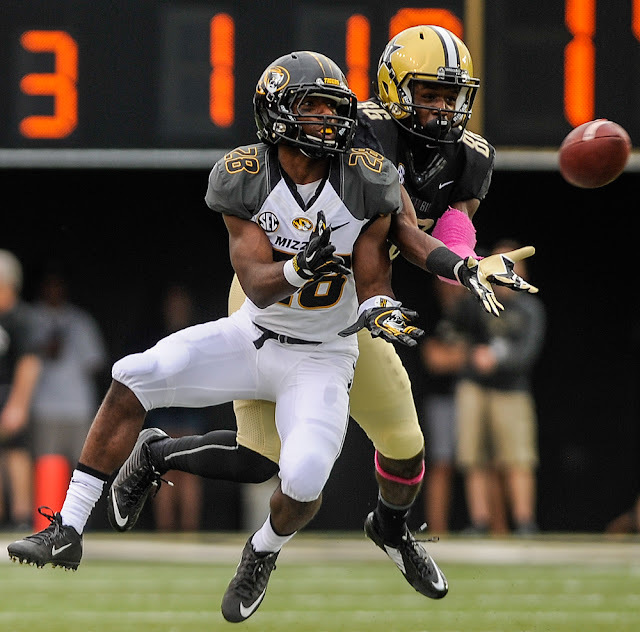 Defensive back Logan Cheadle drops an interception during the second quarter of Missouri's game against Vanderbilt Saturday, Oct. 24, 2015 in Nashville, TN. 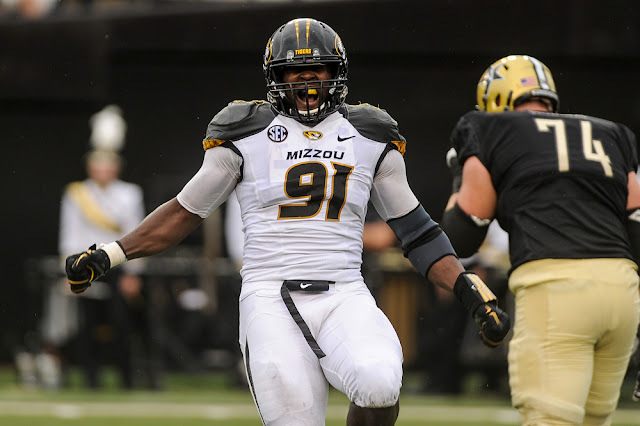 Defensive lineman Charles Harris celebrates a sack and forced fumble late in the second quarter of Missouri's game against Vanderbilt Saturday, Oct. 24, 2015 in Nashville, TN. Missouri Chancellor R. Bowen Lofting walks towards MU's locker room after they lost 10-3 against Vanderbilt Saturday, Oct. 24, 2015 in Nashville, TN. 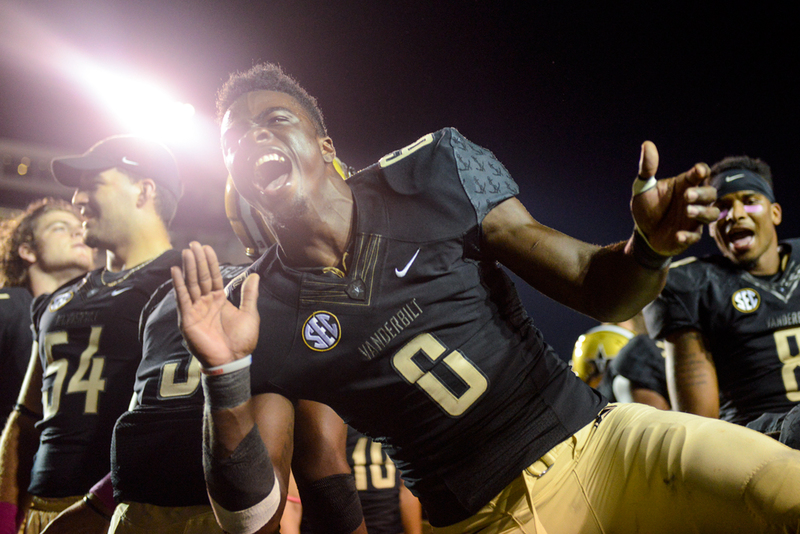 Darrius Sims celebrates a 10-3 win over Missouri during homecoming Saturday, Oct. 24, 2015 in Nashville, TN. 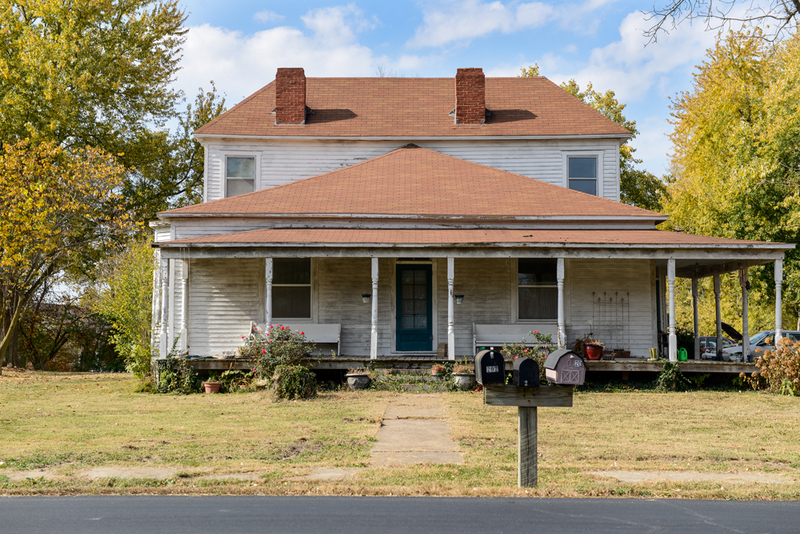 Two teenagers from Sturgeon, Missouri, were transported to hospitals on Tuesday morning after the driver lost control of his white Mustang and overturned on Highway 124 near Harrisburg, according to a Missouri State Highway Patrol crash report. The driver, Carl Shaver, 16, and his passenger, Brandy Wadtananussorn, a 15-year-old girl, were on their way to Harrisburg High School when the vehicle, traveling west, went off the shoulder of the road and rolled, said Chief Gale Blomenkamp, public information officer for the Boone County Fire Protection District. 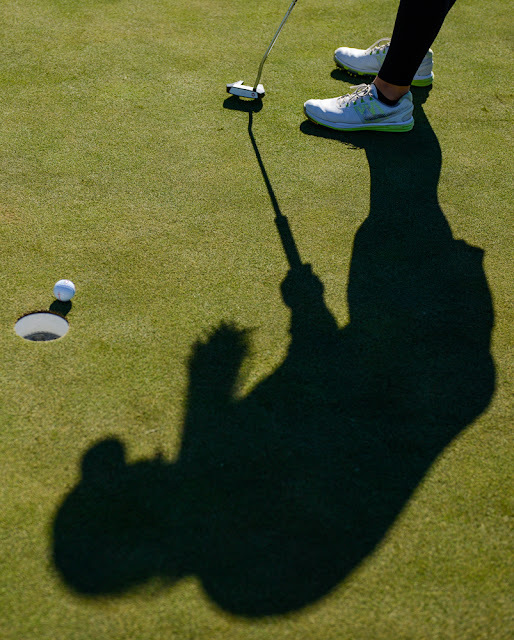 Michelle Butler sinks a put during a putting game at practice at the Old Hawthorne golf course in Columbia, Mo. 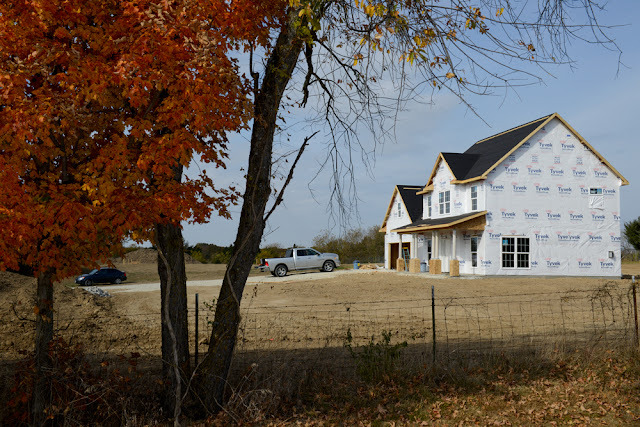 Thursday, Oct. 29, 2015. 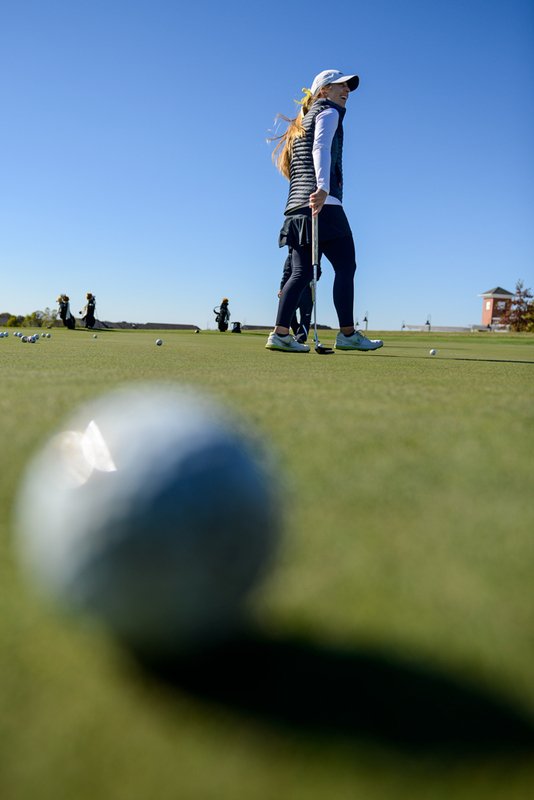 Michelle Butler laughs while practicing putting with teammates on the putting green at the Old Hawthorne golf course in Columbia, Mo. 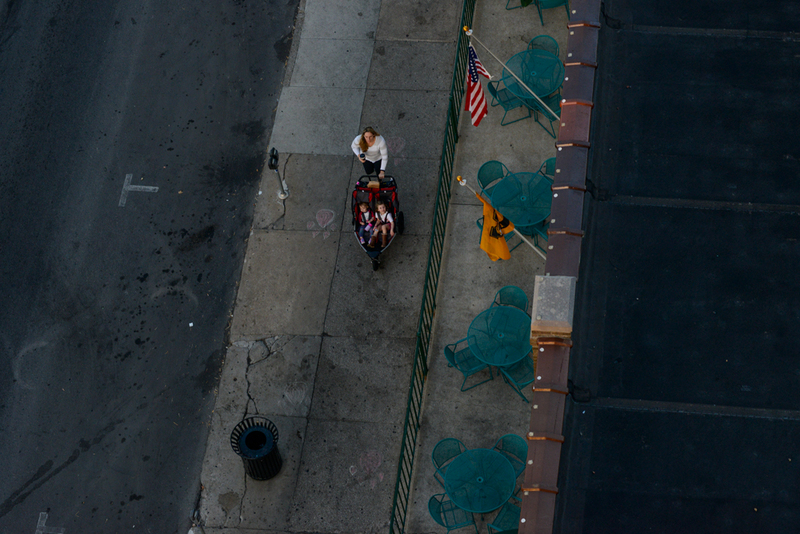 Thursday, Oct. 29, 2015. Firefighters water down the smoldering remains of a trailer at 4130 Lenoir street outside of Columbia, Mo. Thursday, Oct. 29, 2015. A teddy bear sits next to a garbage can near abandoned trailers as firefighters water down the smoldering remains of a trailer at 4130 Lenoir street outside of Columbia, Mo. Thursday, Oct. 29, 2015.